60 litre traditional supermarket shopping trolley. 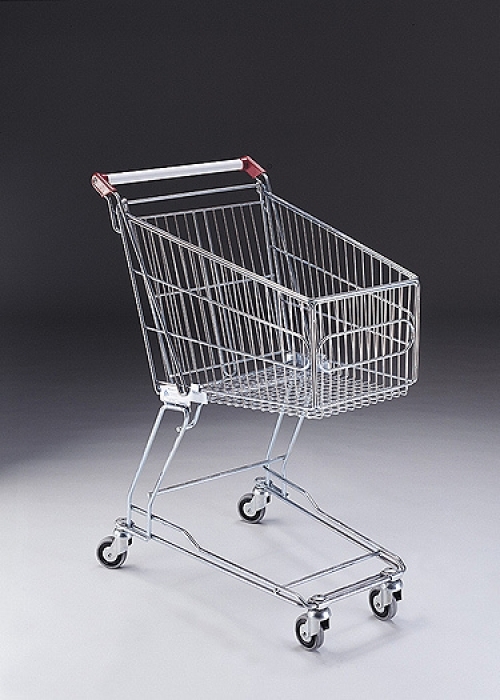 Bright zinc plated supermarket trolley designed for the retail environment. Comes complete with four solid swivel 75mm rubber wheels. The larger 80 litre & 100 litre supermarket shopping trolleys come with folding babies seats as standard. Dimensions: Length 726mm, Width 448mm, Height 935mm.